It is all about money, isn't it? A revealing article in the Guardian newspaper draws back the covers on the network of vested interests and deals behind the show business face of F1. And it turns out that the drive towards standardizing the cars as part of the FIA's cost-cutting exercise may have much more to do with the loan burden on the sport than has been apparent. It is no secret that the commercial rights holders, CVC Capital, financed its purchase through loans that now require huge amounts in interest payments. This demands that the number of GPs be increased to Bernie's present maximum of twenty, even though the total has fallen to seventeen in 2009, thanks to the demise of the Canadian and French GPs. Any decrease in the number of races means a lowering of income for the sport and so the pressure is on Bernie to keep selling GPs to countries that can afford to pay his exorbitant price. But the teams have begun to suspect that the FIA's cost-cutting drive has more to do with maximizing CVC's share of profits, rather than any real concern for the good of the sport and they want to re-negotiate their portion of profits. Their resistance to the FIA's proposals increases, therefore, as everyone shouts for a bigger piece of the F1 pie. I do not pretend to understand the complex arrangements that bring this situation about but can see that it makes questionable one of the great myths of the sport - that Bernie has done such a wonderful job of expanding F1 and bringing huge amounts of money into it. There is no doubt that more money is spent in F1 than ever before but, when it is realized that this is underpinned by debts requiring vast sums merely to meet interest payments, the wisdom of selling the soul of the sport becomes less evident. It seems that Bernie has made himself and a few others in the sport rich by designing it as a money-making venture, rather than a genuine contest with a history and tradition reaching back more than a hundred years. In building the global reach of F1 to its present heights, Bernie has also sacrificed many of the links with the past that make the sport so watchable and dramatic. It does not matter that great circuits are disappearing off the calendar to be replaced with featureless tracks designed to a standard formula, he does not care that the element of competition is squeezed out by the ever-increasing strangulation of innovation by the rules - all is subject to the mighty dollar and whoever can pay the piper gets the contract. Yet the whole thing now appears to be a house of cards ready to collapse in the next economic recession. Greed has dictated that the profits from the sport are not poured back into it but are used to fill the pockets of a few and service astronomical debts that were undertaken without thought for the future. It would be an interesting and salutory lesson to be enjoyed by spectators, were it not for the fact that it affects the sport we love. When regulations are forced upon the teams because CVC needs more money for interest payments, we are right to object. If the gamblers are caught out, why should the sport bail them out? I do not have any answers to this complicated mess. The sport will have to lie in the bed that Max and Bernie have prepared for themselves and I can only hope that somehow the spirit of F1 will survive the coming storm and emerge as a creature still resembling the great contest it has been for so long. But let us stop all this nonsense about how great Bernie has been for F1 - the truth is he has put it into the hands of the money lenders and it is no longer the master of its own fate. Motor racing has always captured the interest of the public. Nuvolari, Fangio and Moss were as much household names as are Schumacher, Alonso and Hamilton today. The people need heroes and F1 supplies them in abundance - yet where will they come from once the sport has been reduced to a business enterprise only? Bernie may have made himself indispensible but we should not thank him for what he has done to the sport. History may well have a harsher view of him than we suspect. I hadn't seen the piece you linked to. That puts quite a spin on things. No wonder the teams are getting upset. The sport produces so much money that it has made Bernie a billionaire a few times over it is now up to its eyes in debt used to purchase the rights from Bernie. So Bernie gets rich and the sport gets screwed. The value in F1 lies entirely in the ingenuity of the teams. that subjugates them to Max and Bernie. FOCA clashed with Bernie over the money. sets the rules, and CVC have a contract with FIA. no value they are eminently deposable. to walk and set up their own series under their own rules. the circuits, and offended the worlds decency. Steven: It's the same sad story, isn't it? The more I learn about the financial wheeling and dealing that goes on behind the scenes, the less respect I have for those who "govern" the sport. There is a reckoning coming someday and the bill will have to be paid. The trouble is, it will be the poor fans of F1 who end up having to pay and those who have caused the mess will quietly retire with their millions. "They probably know things that we are not aware of... "
Like where Mclaren's $100,000,000 went? Steven Roy is exactly right, CVC bought F1 with only F1 as the collateral. CVC has got to be paying at least 6% interest which means F1 has to grow revenue by more that 6% just so put a load of cash in Bernie's pocket (this is also how the worlds money as debt system works, without constant exponential growth our debt money system could not work). So next year when you don't have a Canadian or French Grand Prix, thank Bernie for selling the soul of the sport. The teams will never form another series though, they are too fractious, the name F1 really does hold a tremendous amount of value and there wont be a track in the world where they can race without the FIA's approval since they have a stranglehold on every country with motor racing. There's a good topic for an off season post Clive, would a breakaway series be able to find enough tracks who are not contractually controlled by the FIA to have a full season? You know that any track hosting the breakaway would lose all other FIA series which would leave them with basically nothing. However, the contractual situation is such that any non-sanctioned race in the EU wishing to avoid contract breakage would have to be using engines with 1 litre or less. This is because the 2001 decision the EU made about the FIA monopoly forced races of that series to be permitted on tracks without the FIA's clearance. The trouble is that such a ruling does not stop the FIA from making life for the track very uncomfortable. Having said that, India created a non-FIA-sanctioned body for motoring (including motor sport) in 1998 and that body ended up so powerful that it is due to take over the FIA-sanctioned body at some indeterminate point in the near future. The USA already has non-FIA-sanctioned governing bodies (for NASCAR and the two major open-wheel series) alongside the FIA-sanctioned ones (the main one over there being for sportscars), and the FIA have basically had to allow drivers to cross freely between them. So that route is open to all countries which are willing to sacrifice a certain amount of short-term power. Countries which aren't yet major powers in the motorsport world would be prime candidates. The best solution would be for the teams to make an alternative development ladder out of whole cloth. This should be possible given that the major manufacturers already have several development series. By offering an entire ladder instead of just a single series, that could sway tracks struggling to break even under the current regime. Not many circuits get so many series at their door. The events for each circuit would have to be neatly spread out, and assistance given to develop other events suitable for each circuit. But it could be done - it's not as big a job as it looks, especially given that four of the series above already exist and would merely need persuading by the powerful manufacturer forces involved in them. Well, it looks as though Alianora has answered your question, Nick. Thanks, Alianora! I also see some sort of link up with Indy Cars, perhaps an agreement on a joint formula that allows certain North American races to be part of the F1 (or whatever it is called) calendar - similar to the Indy 500 being on the calendar in the fifties but more so. In a very interesting article, GrandPrix dot com mentions the effects of a customer car formula with restricted testing. The IRL needs to be aware of this too and adjusting their formula to be closer to the F1 model can only be good for their series. Ecclestone's precarious balancing act puts a great deal into focus. I would bet that all of the odd or alarming decisions by the stewards this season could be traced back to the great need of Ecclestone to pay off debtors. It probably goes a long way to understanding why Mosley's still where he is, not to mention the question of who set him up. Huge amounts of money combined with a lack of ethics are bound to implode. The fact that Mosley, who has proved he has precious little judgement, is left in a position to hire those judging (stewards and Donnelly) must mean that someone needs him where he is as a puppet. The creditors want their cash and don't give a damn about racing cars or how Ecclestone gets it back. Ecclestone has put himself in a corner where he has no choice but to generate the greatest possible capital without regard to the future of F1. He'll soon be desperate if he's not already, so what we've seen of late may very well become par for the course. Compromise anything just so long as the bottom line works. This ridiculous idea of cost cutting relative to the teams development has never made any sense. In my opinion it's all been about Ecclestone's money, debts and greed. If the teams spend less he doesn't have to shell out as much to them for the product. In effect Mr. E is saying let's water down the whiskey and pocket the difference. His engine rule changes over the last few years are a less blatant way of having a spec engine but to the same result. He's looking to equalize the teams so that it is less obvious when one gets an advantage, through stewarding or penalty or whatever other scheme he comes up with. Last year McLaren with Hamilton behind the wheel, appeared to be on the verge of a possible dynasty. If this happened and McLaren began wrapping up the series early the cost to Ecclestone might have been enough for his creditors to pull in their markers. It's really up to the teams to make things right, isn't it? I'm suprised they haven't seen the light earlier. Perhaps now is the time to either restructure F1 with significant changes (we all know what they are, don't we? ), or let F1/FIA/CVC/Bernie/Max go belly-up and start all over. Just my thoughts. A few years ago when the tobacco ban was being discussed Bernie put out a statement that if the tobacco ban was introduced he would move all races out of Europe because F1 couldn't survive without tobacco money. I guess this sums up Bernie's business judgement. 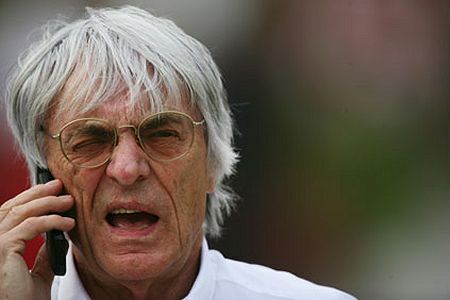 Any Richard Branson said if Bernie took all the European races away he would start a rival championship based on those races that had been cancelled. At the time I thought this was fanciful so I sat down to draw up a list of alternative teams, drivers, circuits etc and it was incredibly easy to come up with everything you need for a rival championship of a good standard. I then looked at alternative sponsors which I thought ould b the difficult part and it was so easy to come up with those it was ridiculous. A lot of companies who are a natural fit with F1 do not want to be associated with tobacco. Many of the companies on my original list have since come into the sport but there are others who I suspect are still put off by the tobacco presence at Ferrari. To answer the question about circuits running an alternative championship. Currently circuits generally lose money on F1 but a properly structured alternative championship could allow the circuits to make healthy profits from running an event. There are many ways for an alternative championship to look after its circuits. For example they could set up a staircase of talent with the top driver in each level being offered a test or drive in the next level and the top driver in the top category at each track going into a run-off for a season in the F1 the following season. There are enough good drivers with no money to make such a system work. We are so used to motor racing running on the greed motive which we all know is bad but it is difficult to envisage how the sport could be run properly for the benefit of everyone. I recommend that everyone at some time takes a few hours to draw up an alternative to F1 that uses none of the teams, people, cars, drivers, circuits, sponsors etc of F1. It is amazingly easy. The sponsors initially seem difficult but if you look at companies that either fit in with the image of F1 or have major global marketing campaigns you will be amazed at what you tuen up. As an example think of F1's fast, international, jet setting image and it screams air lines but how many air lines are currently involved in F1. Coke and Pepsi for decades have had the biggest marketing budgets on the planet so you hav to ask why they are allowing Red Bull unfettered use of F1.